So, to say that Nancy is a skilled woodworker is an understatement. She began her career at cabinet shops in Great Britain where she spent part of her early life. In Great Britain, this was a time when woodworking via hand tools was common which helped establish hand work in Nancy’s furniture making from the start. She eventually opened her own workshop and later, returned to the USA. Currently she operates a custom furniture and cabinet shop in Bloomington, Indiana. She has been a woodworker all of her professional life. The subtitle from Nancy’s book reads thusly: “Tales From a Cabinetmaker’s Life” – a very appropriate subtitle. Each chapter is basically a tale about a life lesson as a professional woodworker. The stories tell of the ups and downs Nancy has experienced as her woodworking career progressed. And the stories are very frank; Nancy talks about the struggles she has been through as a female woodworker in what is really a man’s word. She bares her soul when it comes to the times when she has foregone even basic creature comforts to remain a woodworker. It is fascinating to me the focus and devotion she displays – her determination to stick with woodworking is exceptional. Given the same circumstances, many of us would give up and look for some other line of work. And, not only is Nancy deft with hand tools, she knows how to craft a gripping story. Her writing style and storytelling meant extended reading time for me. There were several moments when my wife would call out something like “Dinner is ready.” Me: “In a moment,” so yes, I put off eating food so I could read more of her book. Nancy’s wit is apparent and the stories which I am sure were no fun at the time, are now viewed through a humorous lens. I laughed out loud a number of times while reading this book. For book reviews, I usually include an excerpt; a good paragraph or two showing an example of the author’s ability. But pulling a paragraph from one of her tales does not do the book justice. I’d have to include the whole chapter. What I will say is that Nancy had me laughing from the first page. As a young woodworker, she tells the story of working in a prestigious British cabinet shop. When confronted with a problem during the assembly of an “elaborate sideboard” Nancy unleashes a profanity filled tirade. So she is cussing her sideboard as if the problem was the furniture’s fault. I smiled when reading this because I’ve done the exact same thing. You can read more from Nancy’s book and a review by Chris Schwarz by clicking here and here. It’s been a long time since I have reviewed a book at my blog. I decided to review this one because Nancy has done what many of us would like to do, but somehow haven’t – become a professional woodworker. Even though my career went in a different direction, I still wonder from time-to-time what it would be like to build furniture for a living. Today, I still think about making money as a woodworker; for example I look forward to my retirement years and the possibility of augmenting my meager retirement funds with woodworking commissions. If you love woodworking, how could you not think similarly? Nancy’s book gives us a better idea what the life of a professional woodworker entails. No matter if you are a woodworker, metal worker, graphic artist, photographer; if you make something with your hands, I think you would find this book interesting and even fascinating. Her deep love of making things with her hands is something to be admired. Read the book and take in all she has endured to remain a woodworker and I think you will agree that Nancy Hiller is an exceptional woodworker. And I for one am glad to have bought this book supporting her as she continues to make things work. You can buy Making Things Work at Lost Art Press by clicking here. Nancy’s website is here where you can buy her books and see more examples of her work. And Nancy writes at her blog here. I really need to order this book. Everyone who has read it is echoing your sentiments. It’s a great book and buying it helps support an inspiring woodworker. If you get it, I’d be interested in your take on it. 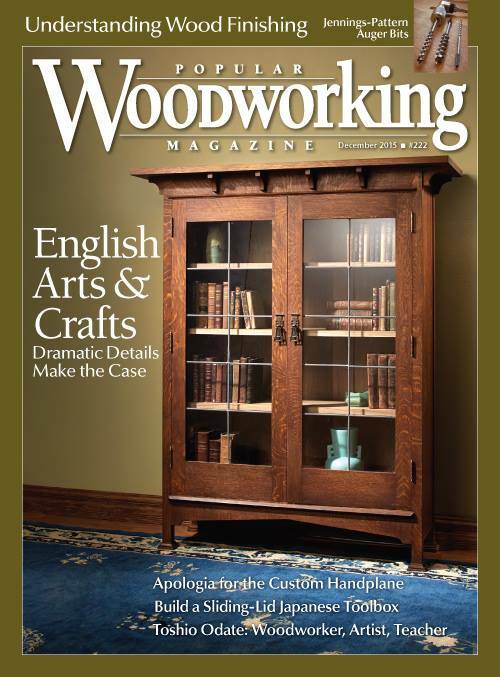 I’m reading everything I can find regarding woodcarving or woodworking. I am going on Amizon right now to purchase Nancy’s book. Thank you so much! Hey Karen, glad you find my blog helpful. Good luck to you.